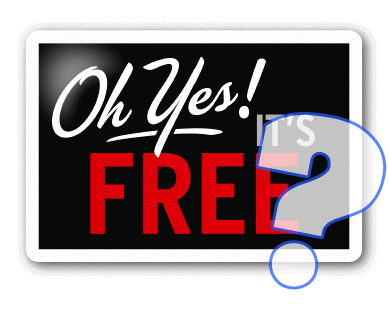 In many aspects of computing, when searching for a program, you are offered both free and paid versions of what sound like similar products and choosing between them can be difficult. There are a few key points to understand in this area which may help you make your decision but unfortunately there is no clear answer for all cases. Software which you have to pay for upfront should be highly developed and effective. By following this business pattern the software house who produced it can keep a team of skilled software engineers on their payroll and the software on which they are working should get better and better as time goes on. They will be able to afford more extensive testing and evaluation procedures and this should result in benefits to their users, obviously some teams are better than others but if they have steady reliable source of income they have the means to make continuous improvements. Paid software will normally have more features than their free counterparts but, depending on the user, this can be a blessing or a curse. Advanced options and features are only worthwhile if you have the need for them and you understand how to use them. In some cases poor configuration of good software can render it almost useless, I am talking mainly about security software here but the analogy works for a lot of different software. Does expensive mean better? There are people who think that if they have paid a lot for their software it will do everything for them and they will not have to know anything about it, I would say this is rarely the case. Cost is no substitute for understanding. If you are paying for a program you know is highly regarded and you are planning on using the features it offers then there is probably no free alternative that can give you the same set of features and confidence. Another benefit of paying for software is you know you will not be harassed into handing over money in other ways as a lot of the free software on offer is given away as a way of enticing (or occasionally duping) the user into paying in other ways like giving over information, signing up with partner companies or upgrading to a better version of that package. When looking at this from a business point of view the time wasted by employees having to cancel nag screens and having their workflow stifled by the limitations of some of the free software makes it a false economy and paying upfront would in the end be cheaper. Browser hijacking, search hijacking, data collection- some less reputable software can act a little more than a front for the real revenue maker of its parent company. Many small, seemingly fun apps are conceived from the question of: “how can we get our software (possibly tracking or data collection software) onto as many machines as possible” and they may decide the answer is to release something simple like a animated mouse cursor or a app to add more emoticons to chat programs. If you notice you computer behaving in a different way, being slower, searching with different search engines, popping odd messages up onto your desktop, then think about what you have done on that machine recently, a simple innocent sounding application may be up to no good behind the scenes. The programs and developer types I have mentioned so far are all commercial in nature and being able to see how a company makes its money should help to reassure you they are not up to anything underhanded. If you cant see how a company is making money from you walk away, because ultimately if you are not worth anything to them financially they would not be dealing with you. Open source if a different ethos on the whole. 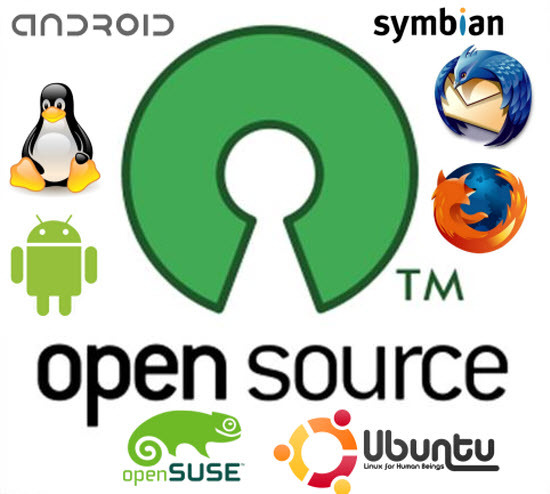 The term “open source” means that the source code (the lines of code which make up a computer program) is open and available for all to see and in most cases modify if they have the knowledge and inclination. As with everything in life this has advantages and disadvantages. Many open source developers come from background of working with the Linux operating system, while Linux is not free in all it’s forms it still remains the only major full operating system capable of giving the best that Microsoft can produce, a run for its money. Linux was born in the 60’s and has always maintained the ethos that knowledge should be free in all its forms and many free software projects are based on this same idea. quick to respond – as the technical landscape changes over time software and hardware have to keep pace. If a small commercial company have put out a piece of software that you find invaluable but did not sell well for them, then when a new operating system or new virus comes along which requires the program be updated they would not be able to put the time in to do so. If, however, the program is developed by people who are passionate about it then they will put the time in. more secure – while this is not a blanket promise about all open source software it holds true in most cases. If a company wanted to put a backdoor into their program or have it perform tasks behind the scenes that the user is unaware of then they just have to tell the programmers to do so. As open source software makes its source code available for all to see there can be no hiding what it does. long term support – projects based on people giving up their time to support them are capable of pulling the plug at any time without warning, while this is rare if you have built a system around a piece of software that suddenly has no more support it could prove troublesome. donations – while this is not a downside most of the time some of these projects rely solely on user donations to keep them functioning (server costs etc) so you may get nagged at to contribute, but then if a piece of free software is useful to you why not send the developer a couple of pounds for a coffee!